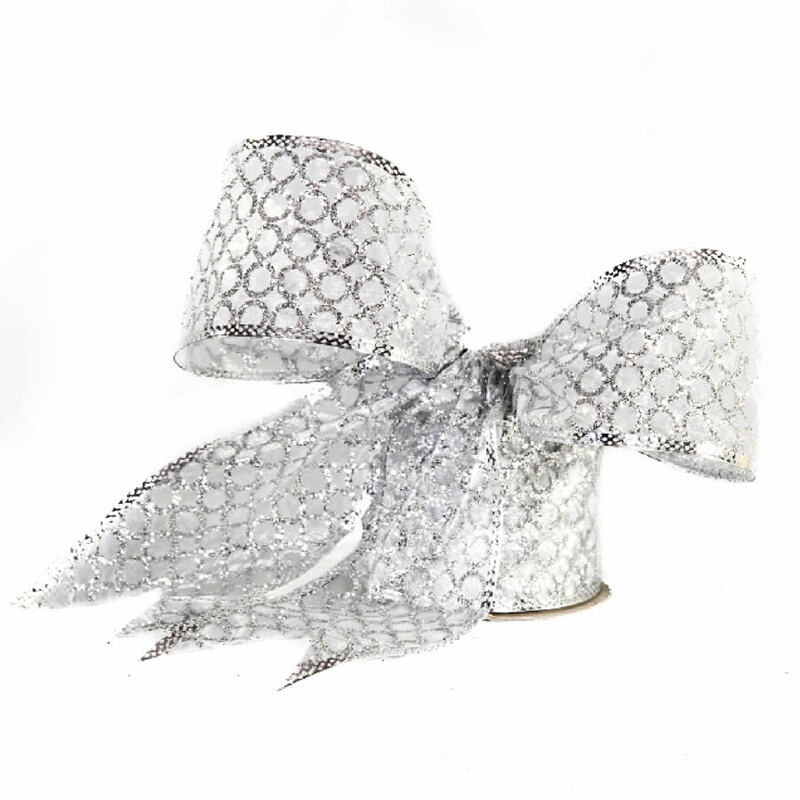 The wire edge of this Sheer White Silver glitter Ribbon makes it a perfect option for creating beautiful bows and trims to add to your holiday decor. 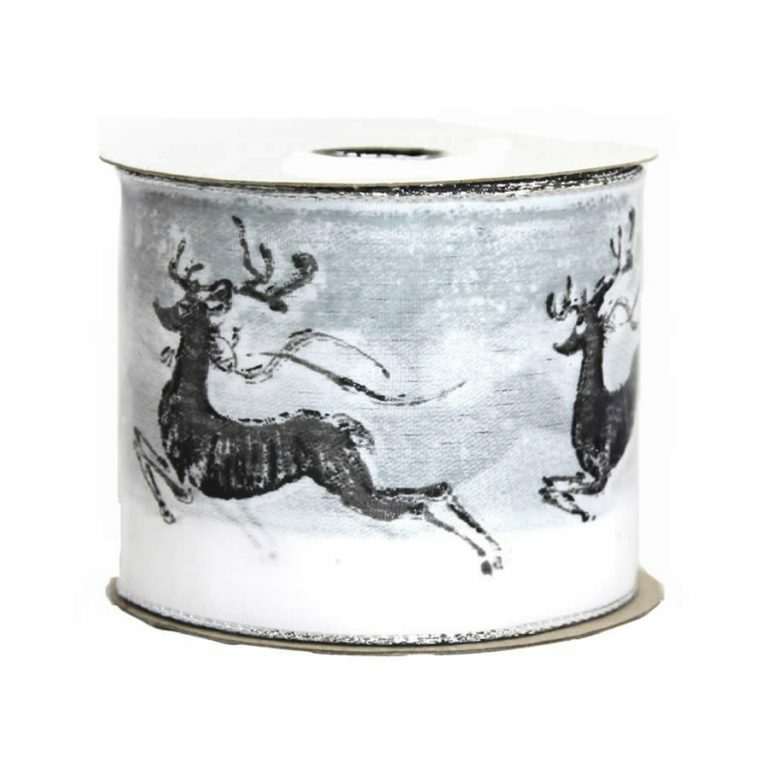 Each roll of ribbon measures around 9-metres long and is around 7cm wide. There is a tiny silver braid that obscures this wire edging, so your projects and crafts simply stun, and others will wonder how you made your bows so full and big! 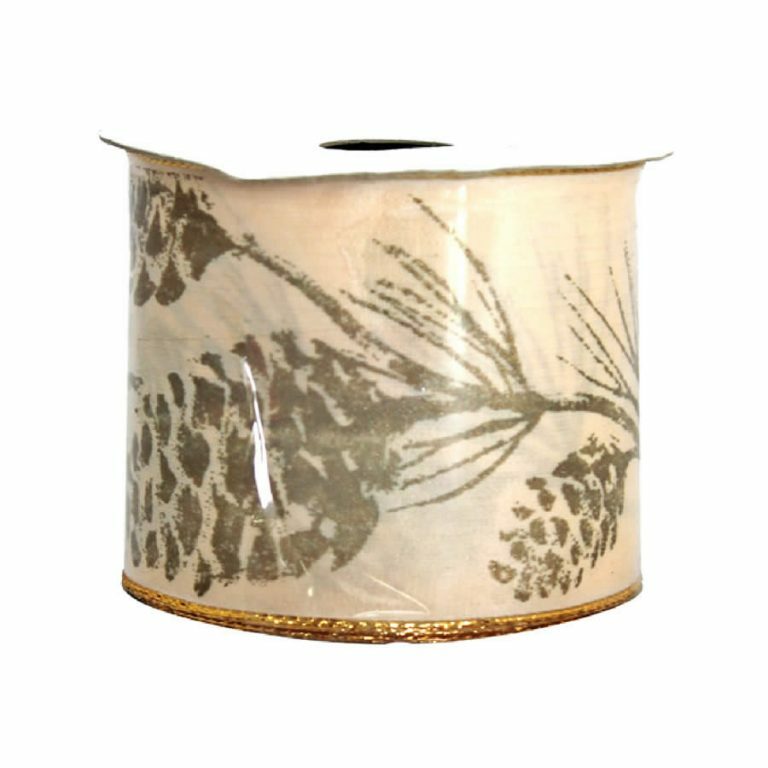 The sheer, delicate fabric of this ribbon allows the lights of your holiday tree to shine through, resulting in an elegant sparkle across the room. 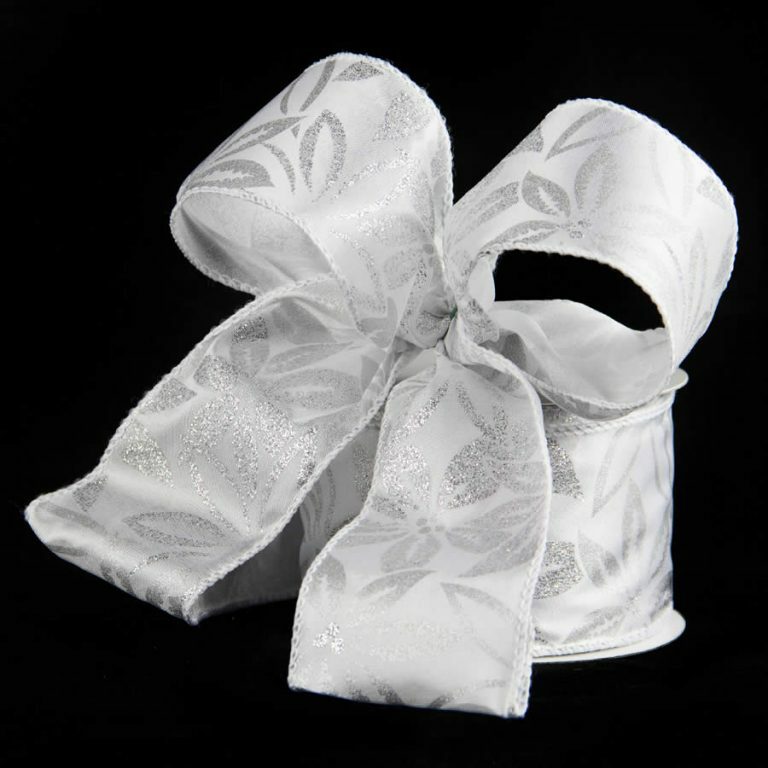 The leafy glittered pattern depicts holiday flora and leaves, so it would also be suitable to use for occasions beyond the Christmas season. This would pair beautifully on a tree decorated in the traditional colours of the season, or create your own unique theme this year. Try using this ribbon on a wreath with a few simple white or pearl baubles for a clean, modern look that will be the envy of your neighbourhood!